Wood is forgiving, but it has its limits. Tables that have been exposed to the elements without protection, indoor tables that have not been kept dusted and conditioned, and tables kept in storage with extreme changes in temperature and moisture can all split. Splits in wood can be repaired, but not always undetectably. 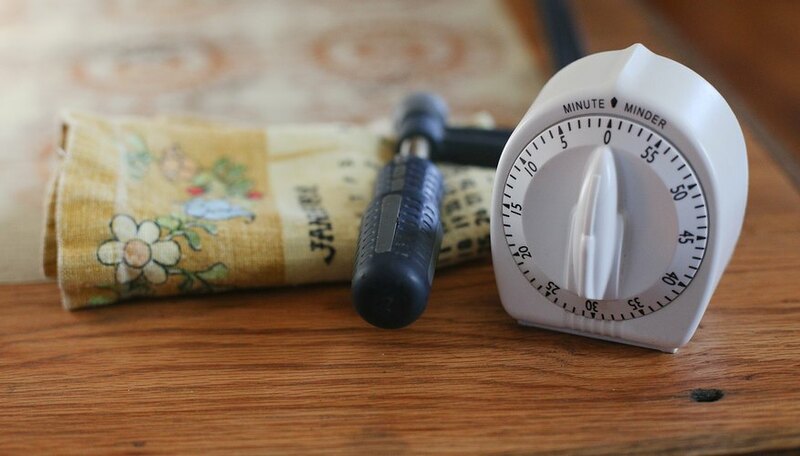 If a piece is valuable or an antique, consider having it repaired by a professional. 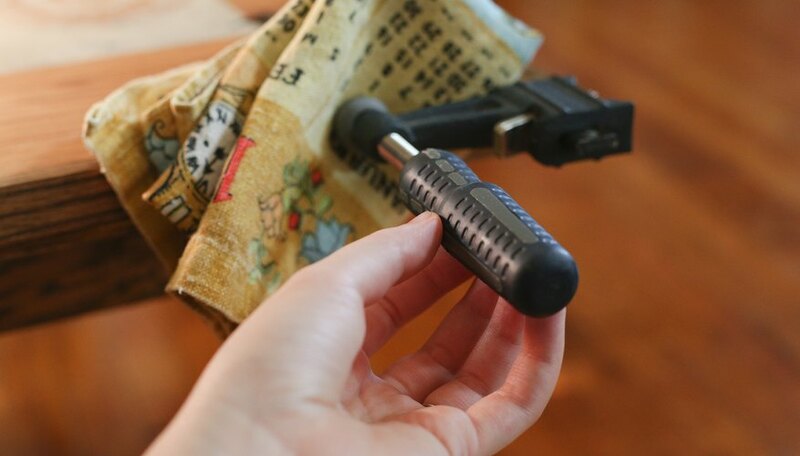 But for ordinary pieces, you can fix splits in a wood table at home. Rub a folded piece of sandpaper along the split to remove rough edges and form a smooth bonding surface. 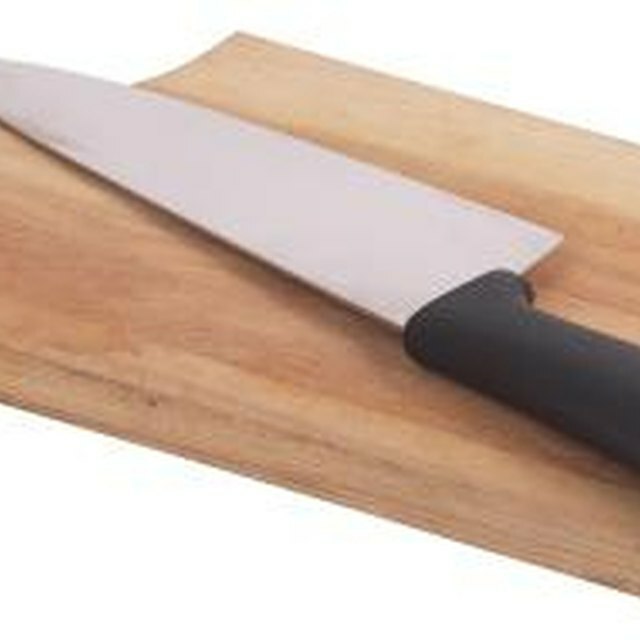 Use medium grit for very rough edges and fine grit to smooth. 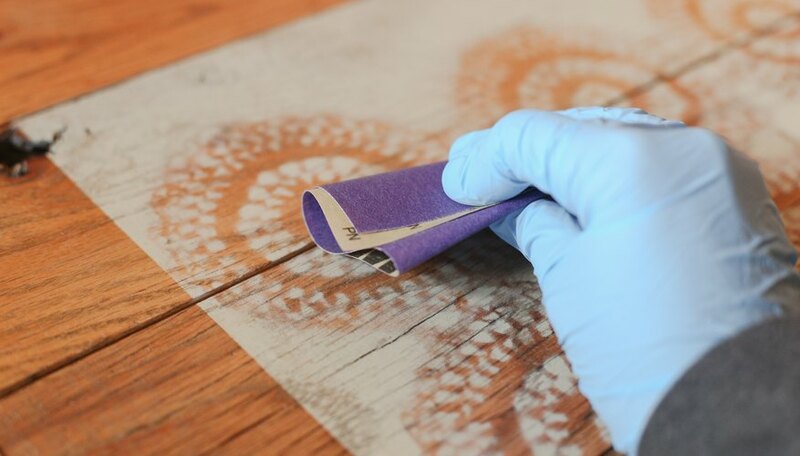 Spread a high-quality wood glue in the split, making sure to cover the crack thoroughly over its whole length. Place a bar clamp across the table. Use more than one clamp for a large split, making sure to space them so that there is even pressure distributed along the split. 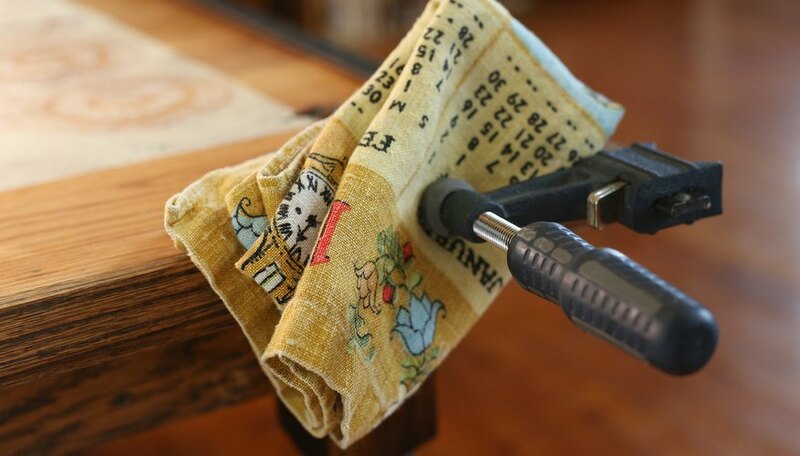 Put a folded dishtowel or another kind of padding between the end of the clamp and the table to prevent damage to the table. Tighten the clamp until the split is forced together. Start with the center clamp first if using more than one clamp. 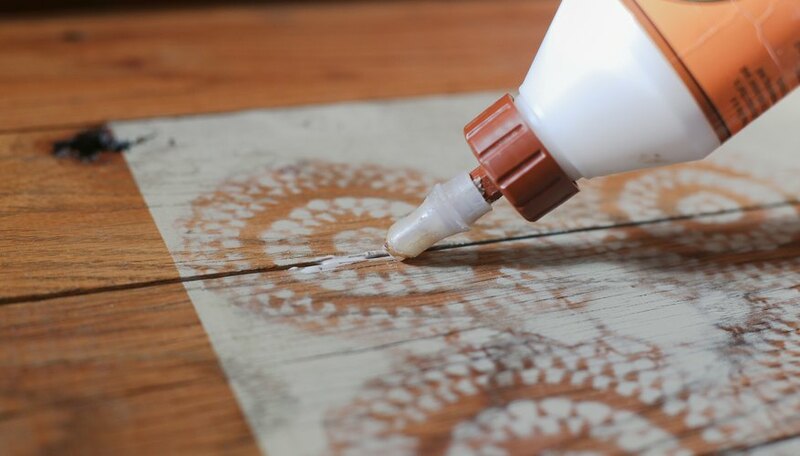 Wipe off any wood glue that oozes out of the crack with a damp cloth. Allow the glue to thoroughly dry, and then remove the clamps. 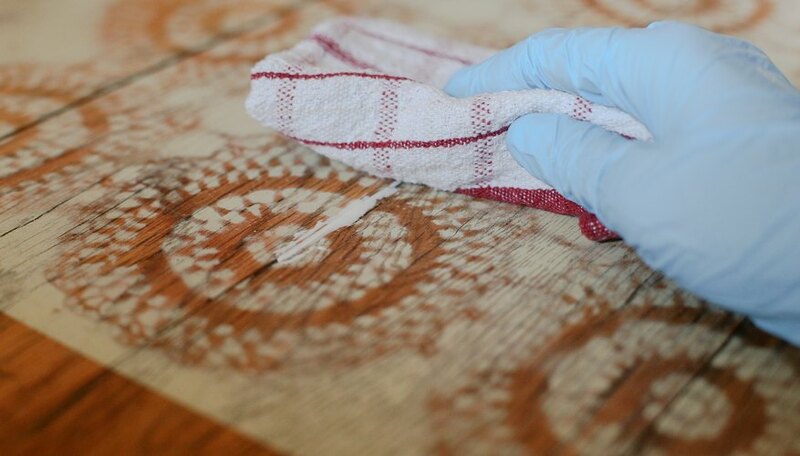 Apply lemon oil over the repair if it is not really noticeable, or touch up the repair with stain, and varnish the entire table. Keeping wood moist by oiling it regularly will help prevent cracking and splitting. If the split is long and deep, but not thick, and happens more than once in the same area, consider adding a reinforcing piece underneath the table to prevent the area from splitting again. Deep splits are structural and may need serious repairs. This should be done by a professional for best and lasting results. Can You Repair a Table Top That Is Veneer?